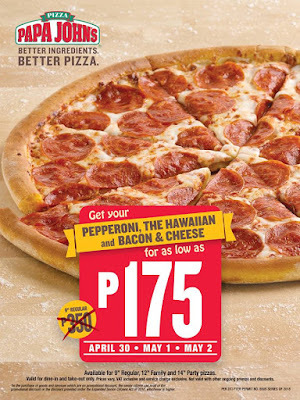 In celebration of LABOR DAY, Papa John's is offering 50% off on select pizzas, all sizes for PEPPERONI, THE HAWAIIAN & BACON & CHEESE for as low as P175! 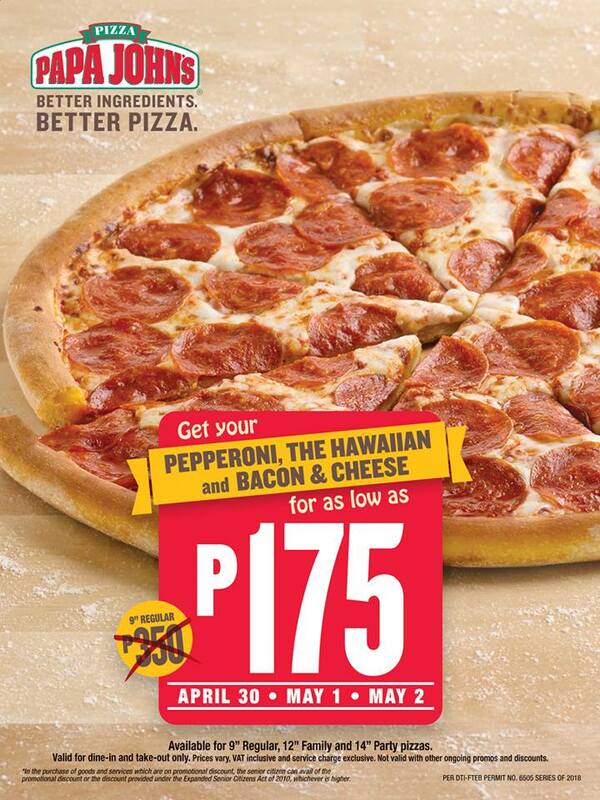 Promo runs from April 30-May 2, 2018 in all Papa John's branches. Valid for dine in and take out only.